Monaco is not legally part of France but an independent principality, with its own royal family who have ruled Monaco since the 13th century. 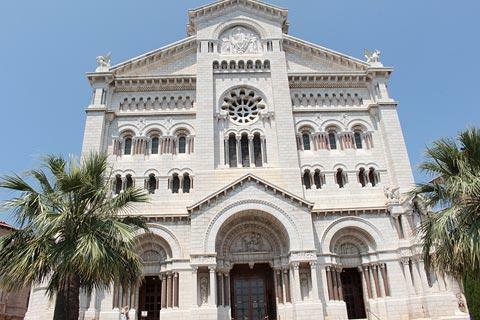 However we have included a guide to the highlights of since visitors to the Riviera, especially in the Nice area, will often spend a day visiting Monaco. Despite its independence from France, most laws and the defence of Monaco are linked closely with those of France. There is no income tax for the inhabitants, and there are more police per square metre than any other country in the world to help control an extremely minimal crime problem. 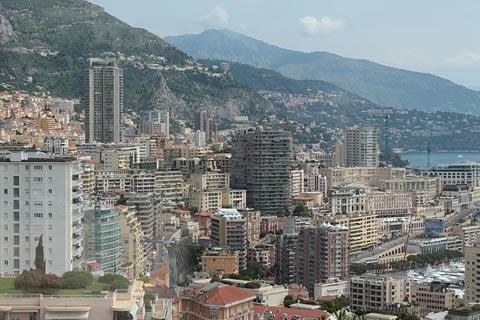 Monaco largely makes its money by being a tax exile for the rich, and from tourism. 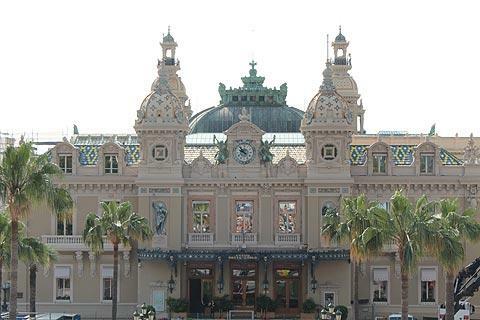 Although it is quite small, there is a lot to see in Monaco as well as numerous museums and attractions. It is also very hilly which makes it slow to explore. It would be possible to visit for the day and see just the most important highlights, or to spend a few days here and really explore. Monte Carlo is the central area of Monaco around Monte Carlo Casino, the Café de Paris and the Opéra. Built in the 19th century by Charles Garnier (also responsible for the Paris Opera), the inside of the opera building really is worth seeing for its opulence and grandeur (there is an admission charge of about 10 euros for the visit). The gardens around the casino are also very lovely (and free to enter), and visitors also like to explore the Japanese gardens on Avenue Princess-Grace. 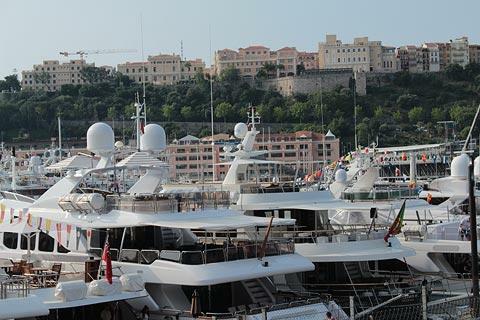 Just to the south of Monte Carlo, the large port and La Condamine area is the place to see the impressive yachts and enjoy a promenade around the harbour. An electric boat-bus will carry you between the two sides of the port. The south-western side of the harbour is a peninsula that includes the cathedral, built in the 19th century in Byzantine style to replace a 12th century church. The original altarpiece can be seen in the cathedral, as well as the burial place of Princess Grace of Monaco and many other princes and princesses. 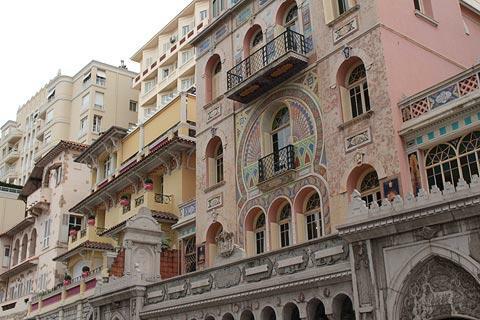 The Prince's Palace in Monaco Ville is one of the highlights of a visit to Monaco, with much to enjoy from 15th century frescoes to opulent 18th century state rooms. You can watch the changing of the guard in the square in front of the Palace at 11:55 each day. You can also see the Palais de Justice and the Oceanography Museum and Aquarium, one of the most impressive aquariums in Europe and with great views from the roof of the museum. In the streets south of the Palace there are lots of very lovely, colourful houses. The views back across the harbour towards Monte Carlo from the cliffs along the east of Monaco Ville are also very impressive. 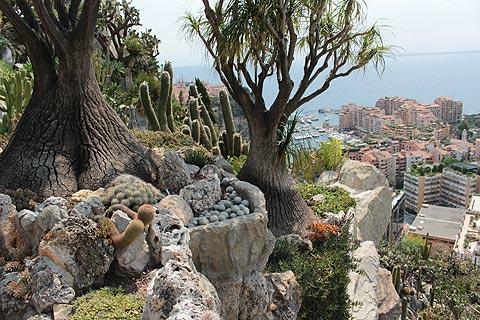 The south-west part of Monaco, called Moneghetti, includes one of the most attractive highlights in Monaco, the Exotic Gardens. On the hill above south-west Monaco these gardens are exceptional, both for the cacti and plants and for the very impressive views out across the rooftops and the sea. There is also a cave of stalactites and stalagmites in the gardens which is very interesting but does involve a lot of stairs! 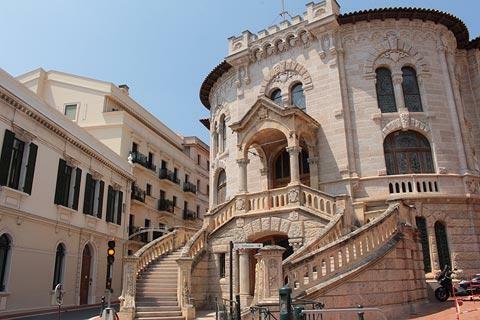 Also in Moneghetti you can visit the Museum of Anthroplogy and the National Museum of Monaco. 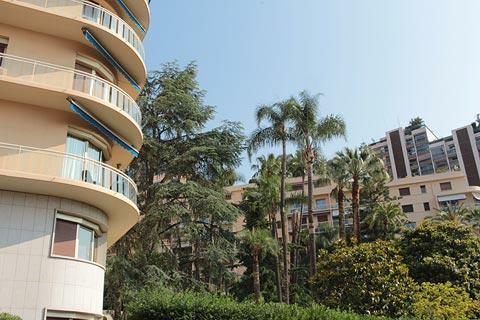 Towards the south-east and the Fontvieille quarter you will find the Automobile Museum as well as the zoo, on the terraces overlooking the port. Other notable historical sites include the small Church of Saint-Devote, with a history dating back to the 11th century, and the 19th century Church of Saint-Charles. 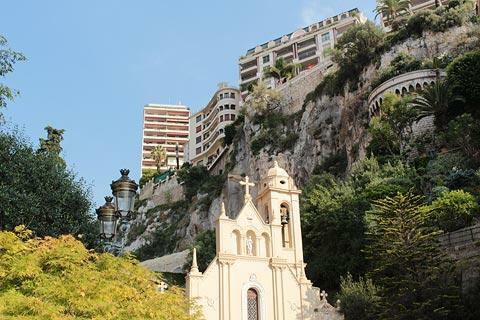 The Church of Saint-Devote is in a steep gorge that divides Monaco in two, between the train station and Port Hercule. Not surprisingly many of the luxury brands have set up shop in Monaco, but you will also find shops that are slightly less out of reach for mere mortals. 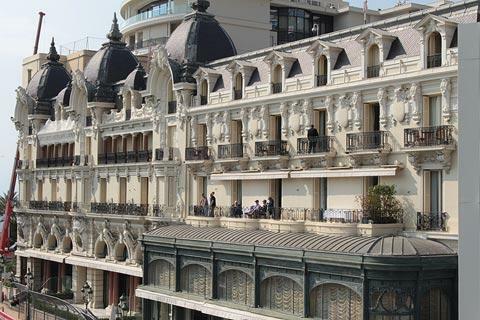 Fashion enthusiasts will want to head for the Carré d'Or, the area around the casino, to see the boutiques by famous names such as Gucci, Prada, Chanel and Christian Dior while the nearby Metropole center is worth visiting to see the luxurious shopping center itself even if you have no intention to buy anything. 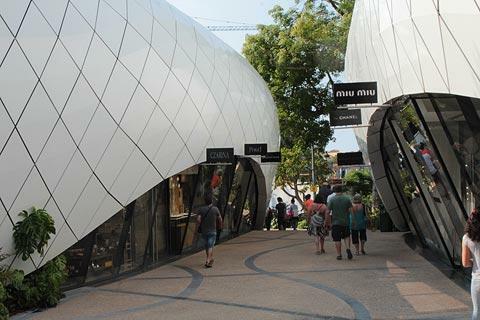 A larger shopping centre can be found in Fontveille, and there are also numerous shops and boutiques in the streets behind Port Hercule. Most visitors to Monaco stay elsewhere on the Riviera and visit Monaco as a day trip. If this is your intention we recommend you arrive by train rather than car - the train station is conveniently placed in the center of Monaco just behind the main port, train fares are not expensive, and it is much easier than trying to navigate the roads and find a parking space (although we found parking less of a challenge than expected when we visited by car). The downside of arriving by train is that you might miss the views across Monaco from the corniche road that passes above the city - on a clear day these views are exceptional. 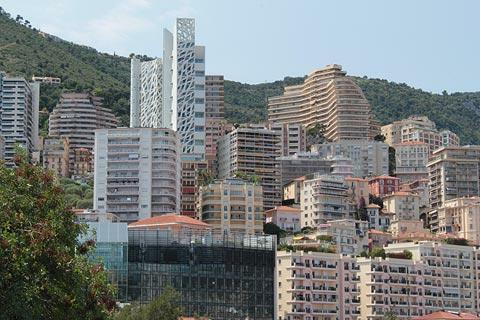 From here Monaco is a remarkable sight, with high-rise buildings and apartments seemingly covering every square inch, like an undersized Manhattan squeezed into a natural bay of the Riviera. 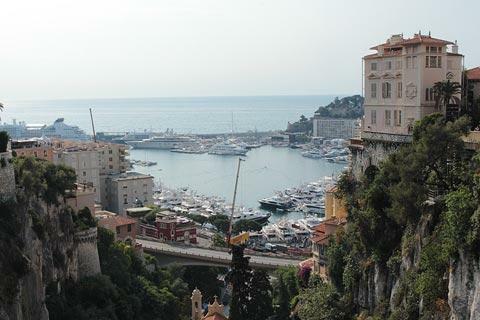 Although Monaco is not very large it can become tiring to explore after a while. You might consider buying a one day ticket for the tourists buses that carry visitors around the town. They offer a frequent service and pass close to all the major places of interest in Monaco - but they aren't cheap (17 euros per adult and 7 euros for children up to 11 years old. You should also be aware that there are lots of lifts in Monaco that are free and easy to use and carry you quickly and effortlessly between the sea level and the higher parts of the town. The lifts are shown on tourist maps of Monaco and will save your legs from endless long flights of steep stairs. There are endless places of interest to visit along the Riviera close to Monaco. 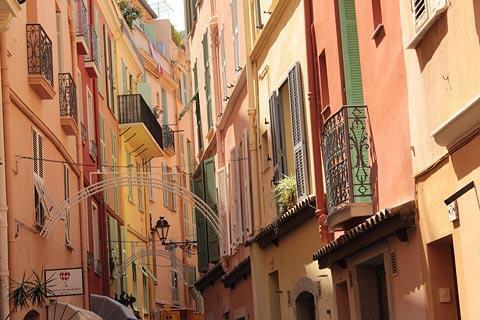 If you like cities we recommend you allow plenty of time to explore Nice, if you like traditional fishing villages visit Villefranche-sur-Mer, and if you prefer medieval villages you can visit Eze, one of the most beautiful villages in France.